Welcome to the new LITW. I would like to thank all of you who have followed me to this new format and to welcome any new readers who are joining us here. All the old posts and data have transferred nicely thus far and a few updated links and tags will be added yet to make this whole thin even more functional. I would especially like to thank Stefan "Ripsey" Grambart for his help and guidance in all of this. 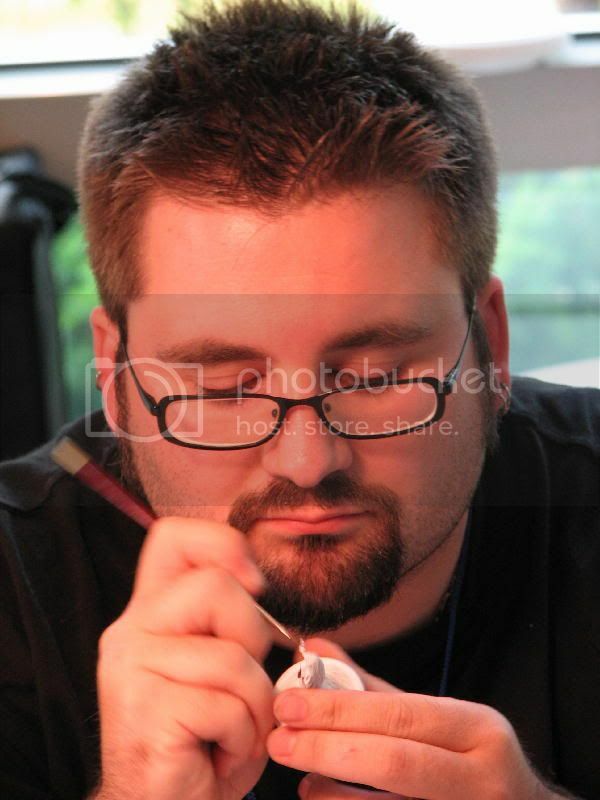 He is one of my best friends and I really rely on him for his technical know how and artistic gifts. I appreciate him more than he could ever know. 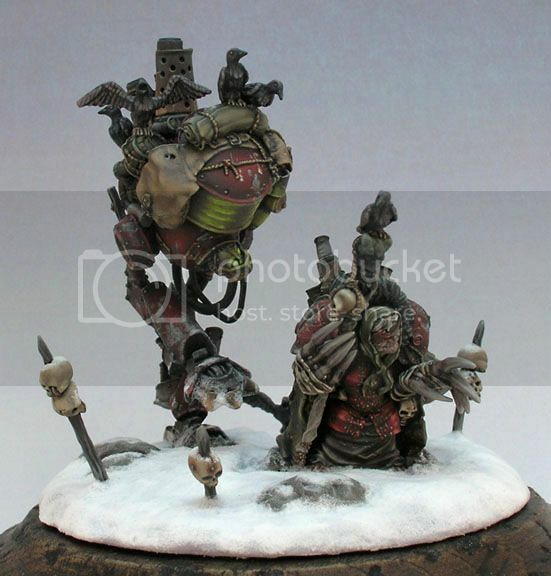 Please go to my updated links section and check out his kick @$$ miniatures blog Tank Brush and his Art portfolio - so much cool stuff for y'all to enjoy oh and dont forget his wonderful webcomic GonetoGround as well ;) - a serious talent. Something else new - at the side is a new tag which signifies my move into WARMACHINE!!!! Finally! When WM first made its debut several years ago I ordered a batch of cryx models from my awesome local game store (J&B Books) but couldnt rustle up people who were willing to make the plunge into a new game atthe time. As such my models collected dust for some time and were eventualy traded off for some 40k stuff. 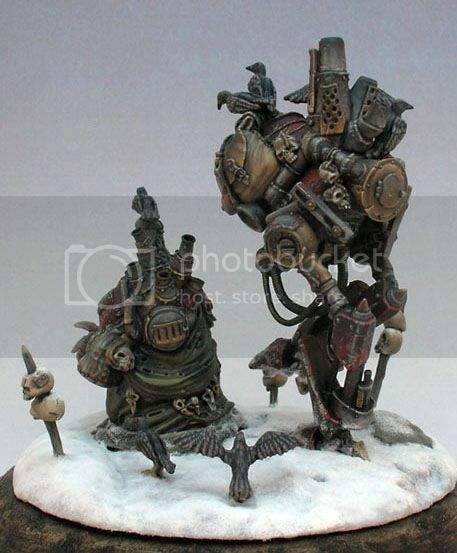 I consider Mathieu Fontaine a friend and he is one of my "go to" crew for critique on the models I paint for competition. This is his Buccaneer mercenary Jack. Pretty darn cool. Jen Haley is a wonderful person, one of my all time favorite painters and one of my favorite people to spend time with. I had the privelage of sitting around her kitchen/paint table and watching her work on this piece. Pictures can not do it justice. Just amazing. This last one is Marike Reimer. I met her a few years ago at Gen Con. She probably hasn't a clue who I am but I am a fan of hers. This is closer in style to the way I intend to develop my Jacks. Armed with a fresh batch of models straight from PP, I asked a couple of buddies for reccomendations and next steps to turn my few models into a playable force. My buddy Josh revealed that he had some extra models for my faction just collecting dust and offered them to me. i accepted and to my amazement he pulled out enough models to make a playable force on its own! A super shout out then to my friend Josh - this was a kindness that will not soon be forgotten. 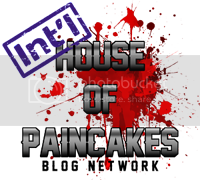 I have also joined forces with the Iron Agenda Blogging Network (IABN) who will be syndicating my Warmachine related posts as well! Thanks folks! I am very thankful for the generosity of those who have helped me get this up and going and I promise to make good use of this opportunity and these cool models! COMING SOON: A new Beastmen regiment! Warmachine! Product reviews! Tutorials! and yet another new category tag!!! Man I have been busy and you will get to enjoy the results! Awwww thanks James :) The sentiment is mutual! 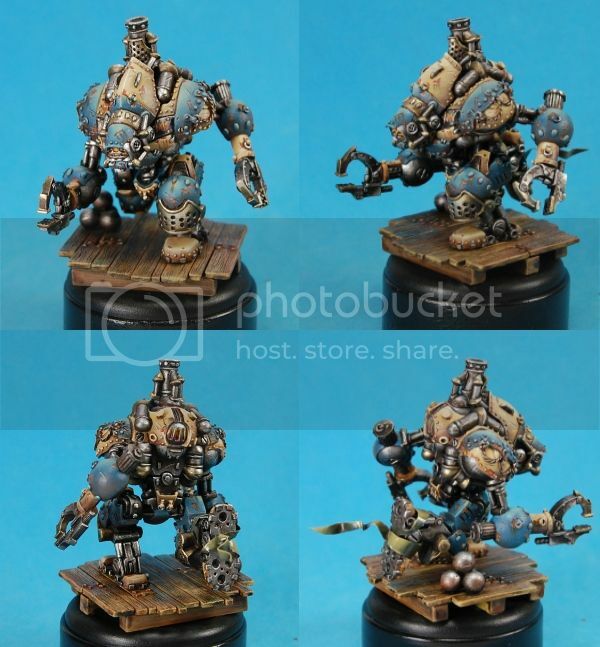 Hey James, Nice to see you have started warmachine. You should show these on Chest of Colours sometime. There's a couple of warmachine players there as well.